Talented students in a hurry to obtain medical degrees or master’s degrees might want to consider the Florida State University Honors Program, which has special options available for honors students who qualify. The program also has a pre-law option that enables honors students to shadow law school classes and attend functions related to the law school while they are undergrads; the students are then guaranteed admission to the FSU College of Law if they meet the admission requirements. There are 16 departments that allow the master’s fast track: computer science, history, math, philosophy, science-teaching, statistics, marketing, communication, criminology, recreation management, students with exceptionalities, mechanical engineering, electrical engineering, nursing, public health, and public administration. The honors pre-med tract in some cases allows students to obtain bachelor’s and medical degrees in seven years instead of eight. The pre-law does not appear to speed up the process of obtaining a law degree, but does, as noted above, lead to admission and provide realistic previews of the law school experience. 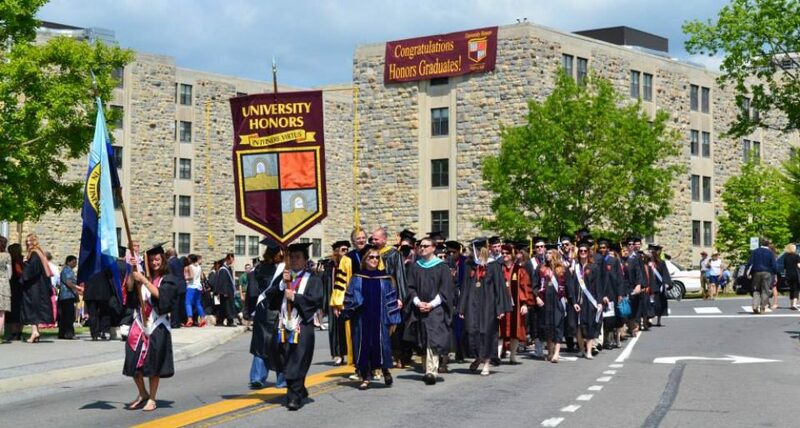 The honors program includes many of the best features of honors education, including an interesting curriculum, smaller classes, priority registration (honors students register with grad students), and honors residence halls. The FSU program is one of the fifteen additional public university honors programs that we hope to include in the 2014 edition of our Review . The programs are offered at the following universities: Colorado State, Florida State, George Mason, Kansas State, Kentucky, LSU, Miami of Ohio, Ohio University, Oklahoma, Oklahoma State, Oregon State, Temple, Tennessee, UC Riverside, and Utah. This entry was posted in Honors News, Honors Residence Halls, National Rankings, Types of Honors Programs and tagged Florida State Honors Program, FSU Honors and fast-track options, FSU honors and law school, FSU honors and medical school, public university press by Honorsadmin. Bookmark the permalink.